Your product is finally ready for market, but you’re struggling to get it on the store shelves. You’ve tried to get appointments with retail buyers on your own, and they don’t return your calls. There are sales reps out there searching for great new products like yours to feed their buyers. The right sales rep is critical to you as an entrepreneur/wholesaler because they promote and sell the product to retail buyers for you. Here’s is how to hunt for the right sales rep to get you into a major retail buyer’s office. One of the best ways to find a sales rep usually involves travel. 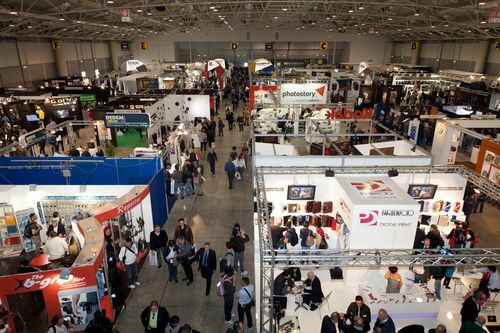 You need to attend trade shows in your industry. Sales reps either have their own booths at the trade show or they are working a booth that is showing one of their product lines. Wear comfortable shoes and walk the show to start shopping for reps. Write down the names and and booth numbers of any product lines that seem to be a good fit. Also make a list of the names and booth numbers of competing products. Now you have two potential sources for prospects. If you can’t afford a booth to show your product, you can still attend as a buyer. Walk the show before and after hours to look for sales rep booths and talk to them to learn more when they aren’t busy talking to customers. The cardinal rule is never ever interrupt a salesperson working with a customer. Stop and talk to the other entrepreneurs who have booths around you and ask their opinions about different rep groups. Some will be a better fit for you and your product. It helps to make friends with other entrepreneurs because they understand what you’re up against better than anyone. If you can afford a booth, the sales reps will come to you. They walk the show to find out what’s new, and they will stop at your booth if your product makes them curious. Get there early before the doors open to the public so you can talk to any reps that come to your booth. Also plan to stay late for the same reason. The last day of the show is a great time for prospecting because it’s usually not busy. If you feel you can leave your booth, head over to a sales rep booth that caught your eye and ask for the owner of the rep firm. If they are busy, ask one of the salespeople to look at your product and offer feedback. If they think your product has potential, they will test it in a few of their accounts. If it sells through and you pay their commission on time, the rep will ramp up sales. He or she may also recommend you to reps they know in other geographic territories. Your sales force can grow organically from there. Use this link EventsinAmerica to find trade shows by event name, keyword or industry. If the manager is too busy, study the shelves loaded with products in your category and look at the back of each product to learn the name of the distributor. Research those companies and call them. Distributors may not introduce you to the buyers in your category, but they will buy the product from you and sell it directly to them. They serve as middlemen. Many successful sales reps own permanent showrooms in a major city Merchandise Mart. To get access to the one closest to you, show a business card or some proof that you are in business. Shopping here for reps is like shopping in a mall. You can go in and browse, make notes of the product lines in each showroom and look at how the products are displayed. Try to find a line that your product complements. Schedule a meeting so you can learn more about the rep’s company that might include a few to a dozen individual salespeople. We started by selling greeting cards to independent gift shops, pharmacies and bookstores. Once we established a solid track record, we moved up the food chain. There weren’t many large national chains when we began our business, and no Internet, so we used independent reps to show our items one store at a time. Today we have social media and online advertising to spread the word, but you still need sales reps to get your products on most major retailers’ shelves. When we introduced Ballmania premium lip balm in 2005, we took it to a trade show for hair salon and spa products in Rosemont, Illinois. The beauty category was new to us, so we didn’t have any sales representation in that market channel. Within the first hour of the show, we had a continuous stream of reps and distributors pitching us to let them sell Ballmania to their accounts. You know you need sales reps to get in front of major buyers, and now you have a plan. The longer you put off finding a sales rep, the less likely your products will generate revenue. So act now. Research trade shows in your industry online and plan on attending at least one. Revisit local stores and ask their managers to recommend sales reps they like to work with. Look up the location of the closest Merchandise Mart to your office/home and plan a visit. Take action and you’ll see your product finally start to move. Go for it! Previous Post Is Pitching Walmart Harder Than Pitching Shark Tank? Next Post What’s Wrong With Design Thinking?